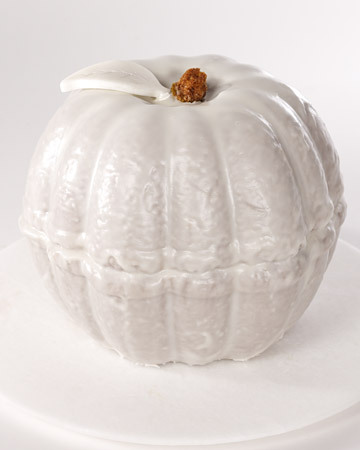 White pumpkins are always an elegant substitute for Fall and Halloween decorations. You can spray paint just about any pumpkin white, but here are three DIY white pumpkin tutorials that aren't all spray paint. Like these beauties from Thrifty and Chic. 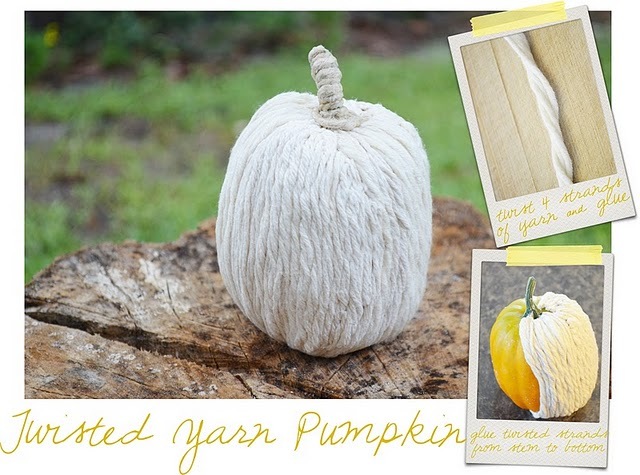 They took it a step further and added a little jute to the stem as a finishing touch for their DIY white pumpkins. Two Shades of pink didn't use any spray paint at all. Instead they used yarn to create these twisted yarn pumpkins. They have three different tutorials for yarn wrapped gourds. If you want to see more pumpkin ideas, check out pumpkin crafts, pumpkin luminaries, and painted pumpkins. OK so your finds are always amazing and for you to include my yarn pumpkins completely blesses me! And I absolutely love Alicia's too! Thank you so very much!